The Back on Track Exercise Machine Rug is a fantastic new cover design, for use while on a walking machine, treadmill or being hand walked. It specifically covers the saddle and back area for any muscle tension, tie-up, arthritic changes, sacroiliac problems etc. 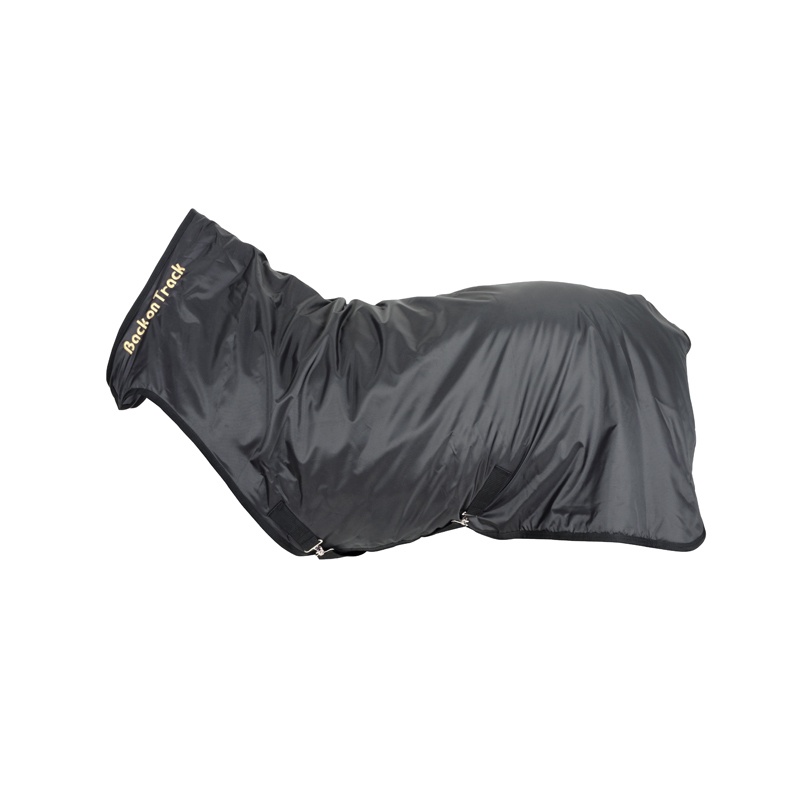 It is recommended as an ideal pre-competition "warm-up" garment for improved mobility and performance, or can be used overnight in stables or yards. It features one buckle at the chest, cross belly surcingles and fillet string. It is finished in a 420 denier showerproof shell with 110 gram fill.